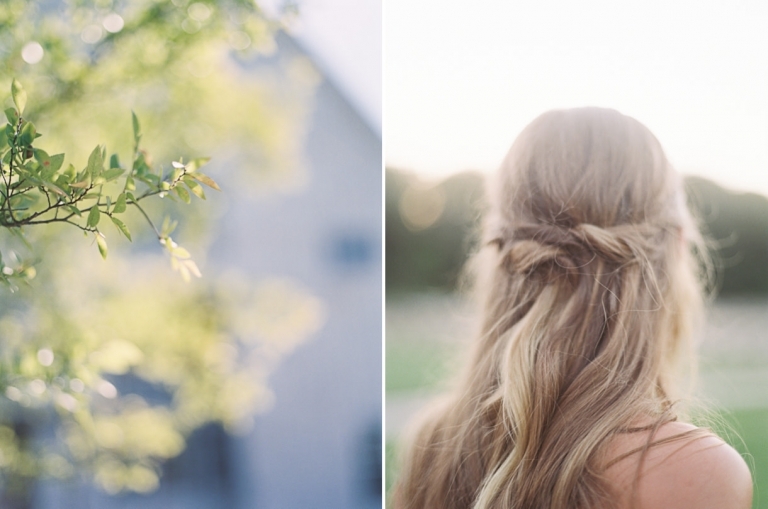 In this inspiration shoot, we truly believe we found heaven on Earth. 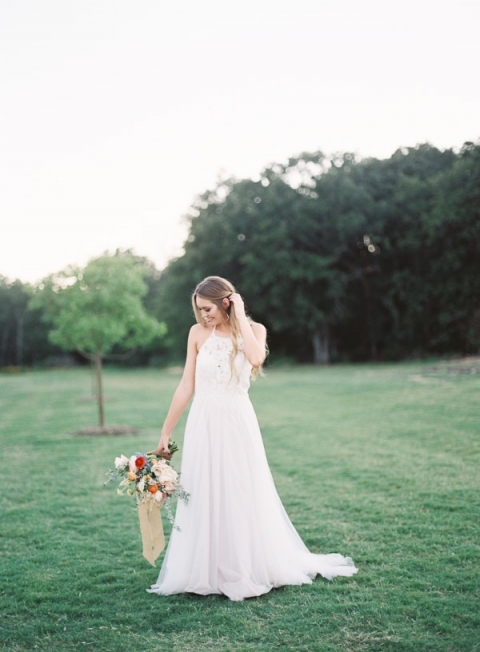 We selected the beautiful White Sparrow venue located in the state of Texas. Our goal was to create images that showcase the southern charm and create feelings of summer sunset romance. This vintage inspired venue is nestled in an open field surrounded by huge oak trees, giving you an intimate countryside feeling. 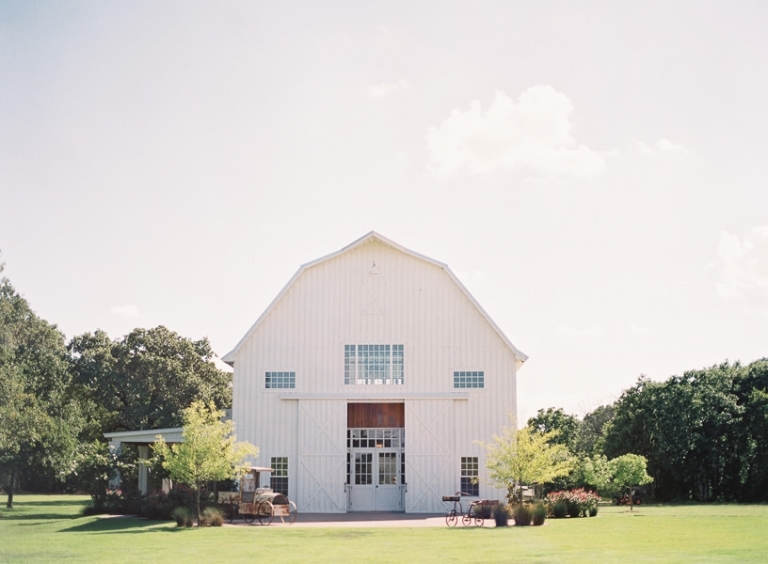 As you are drawn closer, you’ll notice a dainty white barn with lush green grass surrounding it. The whimsical rustic displays in front and a simple yet sweet tree swing in the field whispers to you: “Come and be a kid again”. We selected a dress that is long and flowy to evoke feelings of grace and kindness. This paired with a long cathedral veil created an ethereal sensation that wakes up the butterflies in your tummy. And as a final touch, we added our ‘something blue’ with a beautiful gold blue bottom heel by Betsey Johnson to complete the look. Our theme colors are inspired by a summer’s sunset on a beautiful day out in the country. In florals, we chose to focus on a design that has depth and movement. To create depth, we selected peach, cream, and blue colors with touches of dusty cappuccino. The soft and elegant invitation suite is designed with the beautiful fine art bride in mind. A blend of loose calligraphy script, beautifully handcrafted venue and botanical sketches, and minute attention to details created a collection that is both elegant and beautiful. The blue taper candles with crystal holders and vintage china added to the sky’s color palette. This paired with crystal goblets, gold flatware, and beautiful florals conjure up feelings of a cozy summer soiree. For the cake, we wanted something simple yet subtly elegant and beautiful. We began with a classic buttercream and added a modern spin on texture by using white chocolate brush strokes along the front. To add to the finishing touch, we delicately laid florals and figs to help bring the brush strokes to the forefront of the design. 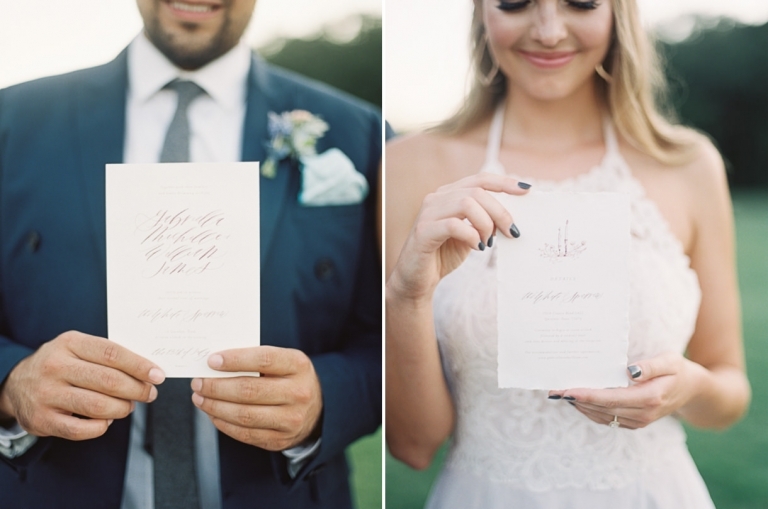 I hope you love and enjoy this inspiration shoot as much as we do! Check out our behind the scenes video and please show our hard working vendors some love by checking out their beautiful work and giving them a follow on Instagram!